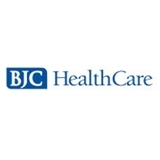 BJCMG Specialists of North County (St. Louis) - Book Appointment Online! Dr. Yu's bedside manner is excellent! He is very thorough and cares for his patients. Dr Reddy and her staff were very professional. She gave me great advice for treating my illness; I look forward to working with her, as she treats my illness with her expertise!